Our chief mechanic, Bill, has been performing mechanical work on cars and trucks for the past three decades. You can rest assured that we have the perspective and the know-how to get the job done right the first time, every time. 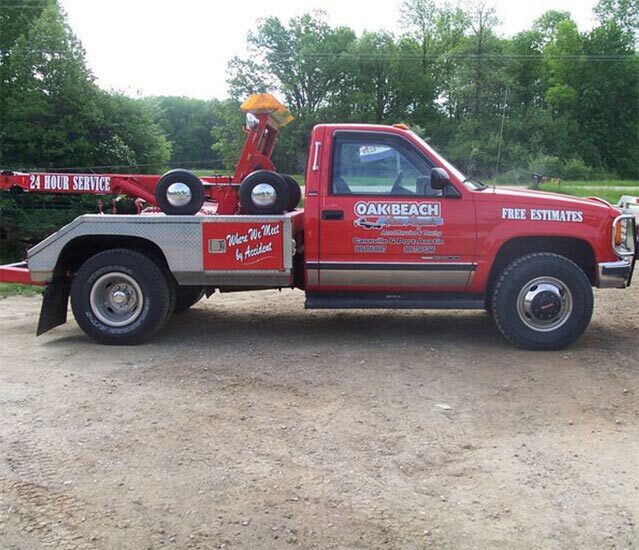 Whether you need an accident recovery in the middle of rush hour or a quick roadside battery change in the dead of night, when you call Oak Beach, somebody will be waiting on the other end of the line to send an operator to your location at a moment’s notice—guaranteed! 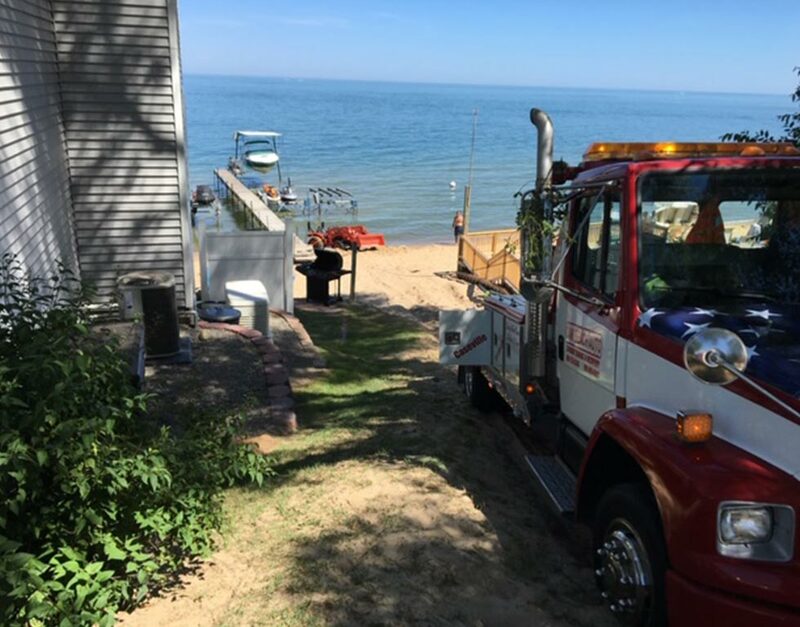 At Oak Beach Auto Repair & Towing, we strive to be your one-stop shop for fixes after you’ve experienced trouble on the road. 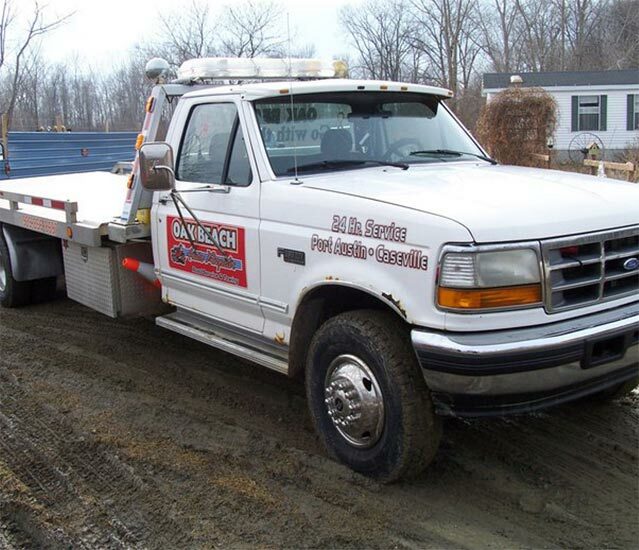 Why call one towing company to take your car to a separate mechanic when you could have both at once? Call today for the comprehensive service you deserve. 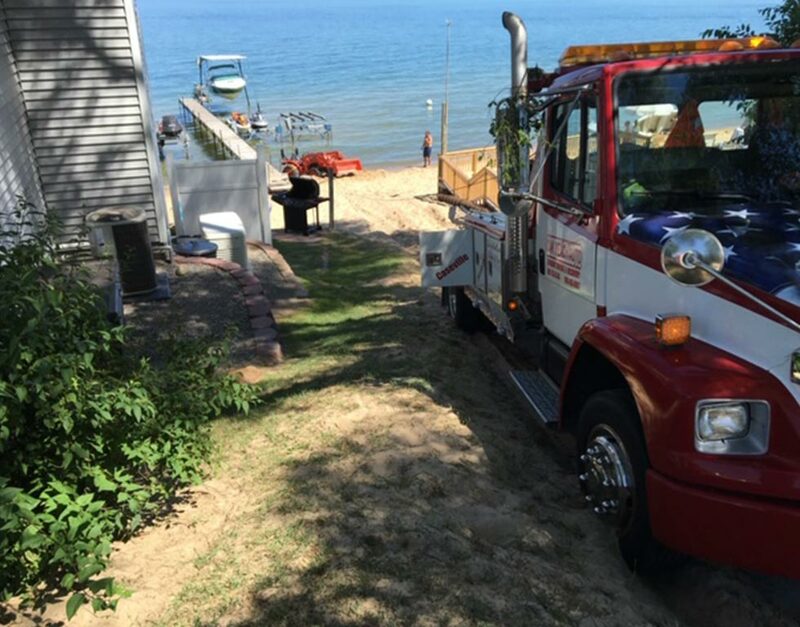 Oak Beach Auto Repair & Towing is a fast and friendly auto service company serving the greater Caseville, Port Austin and Pigeon areas. 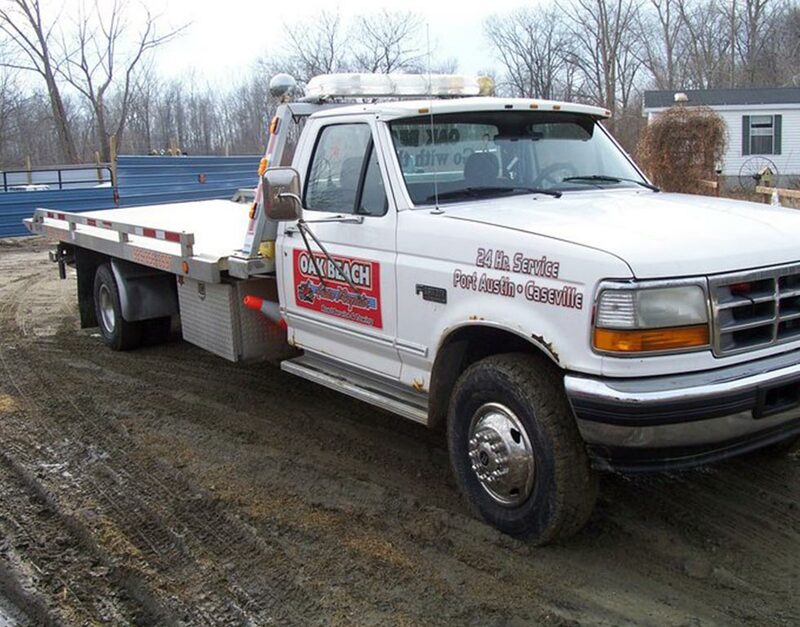 In business for over 30 years, we utilize state-of-the-art equipment to provide a comprehensive array of towing, recovery, and repair services, all at the industry’s most competitive prices. 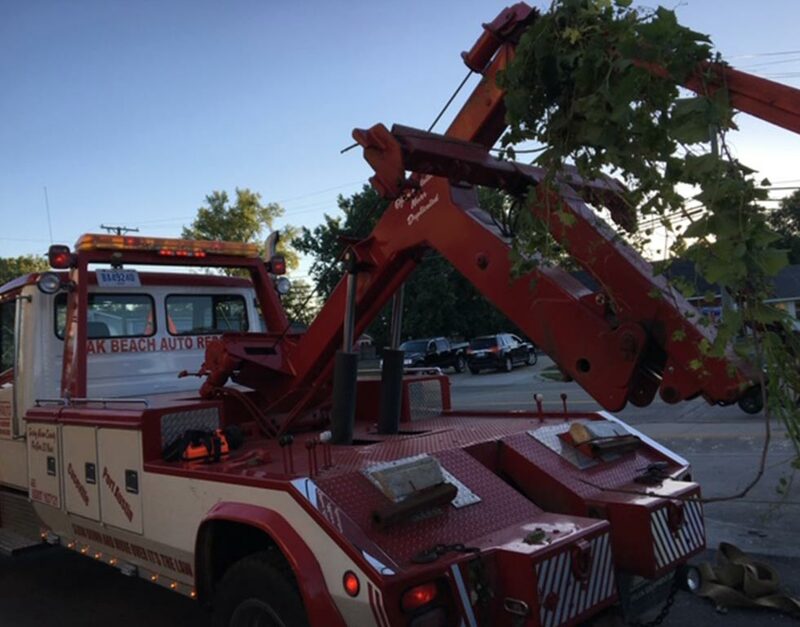 Our drivers are all TRAA-certified, and they attend regular training throughout the year to further their education as tow operators. As a family-owned, family-operated business, we take great care to treat each customer’s car with the same scrupulous care we would give to our own. Call today to see what we can do for you! 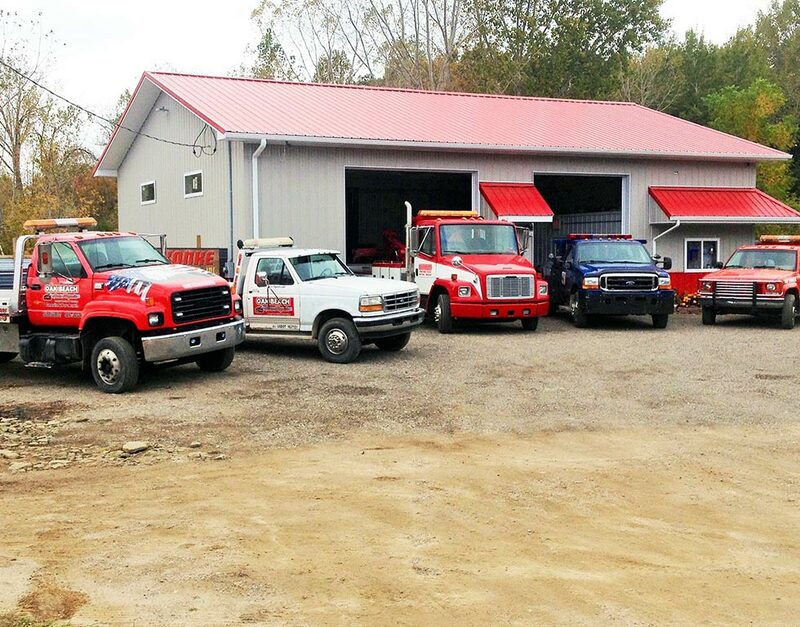 We're a family run business centered between Caseville and Port Austin, Michigan. 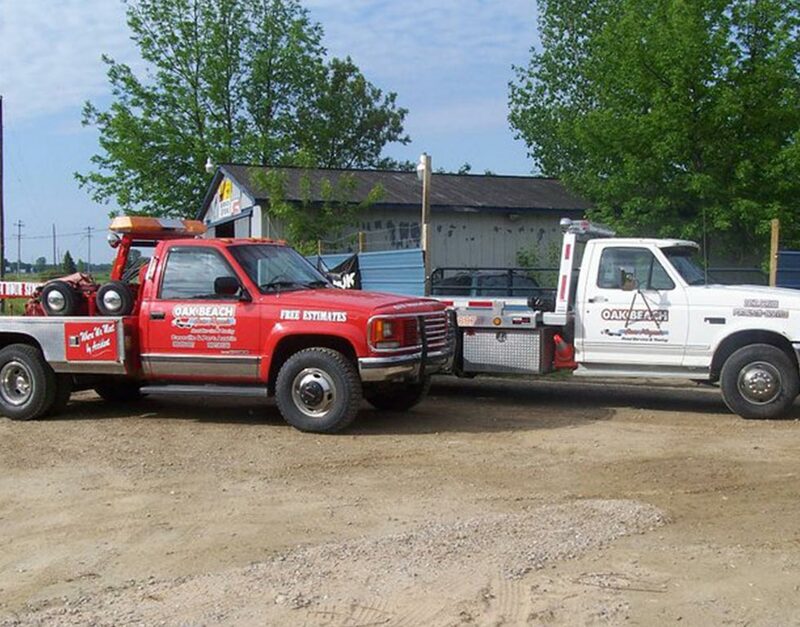 For over 30 years, we've provided some of the best auto repair in the thumb with both a fair price and a friendly smile, and for over ten years, we've offered the same with our towing and recovery services. At Oak Beach Auto, we strive for excellence. We are a preferred provider for most major insurance companies. You can trust your vehicle to be diagnosed and repaired correctly by Bill, a third-generation mechanic with more than thirty years of experience. 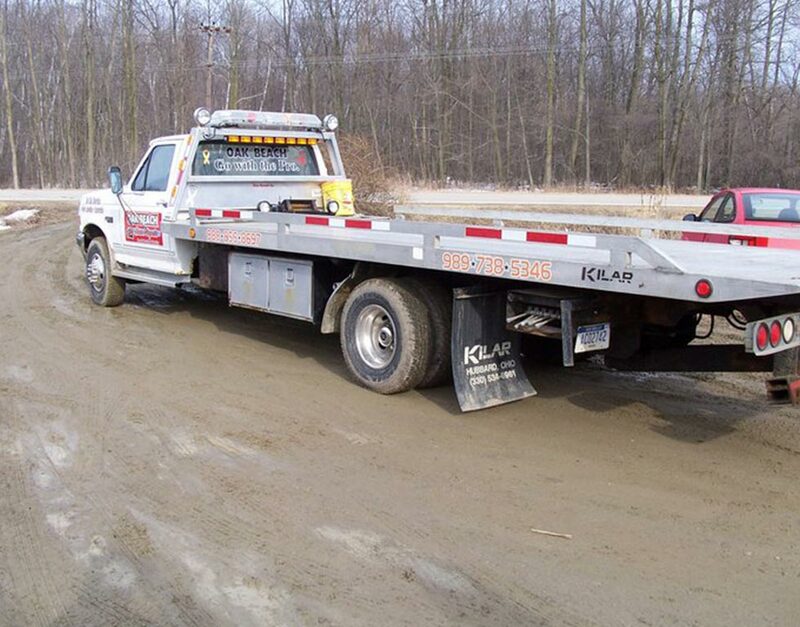 Outside of the shop, you can depend on our fast, friendly towing and recovery crew with over 40 years of combined towing, recovery, and roadside experience. Late on a Saturday night, I was stuck in a sloped icy driveway and couldn’t get out. The truck was there in 20 minutes and I was on the road 10 minutes later. Very reasonable price. Terrific friendly service. Will recommend to others. Good people. Fast, knowledgeable and honest.